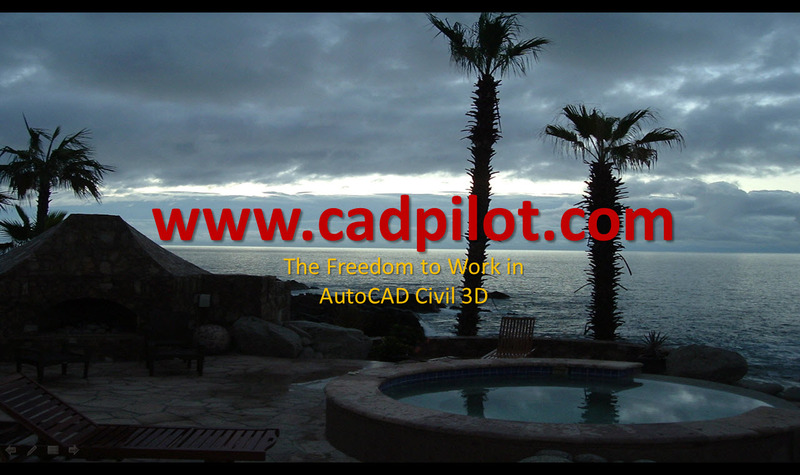 If you are a member of that We Are New to Civil 3D club that I talked about last time, you have the software and now you know where to get the resources for AutoCAD Civil 3D. People ask for access to a soup to nuts course in AutoCAD Civil 3D Survey. Whether you are actually new to Civil 3D or not; whether or not you are a design civil engineer or a surveyor; it certainly comes in handy to get your heads and production processes working. I know that Civil 3D Survey may seem upside down if you do civil engineering design. The facts is Data is data. The facts are that if you can do Intelligent Publish on Demand for existing work, the design work becomes a piece of cake. Sweet. I put together a special page with all the course content in an ordered list. Ok. There’s a bunch to learn to do the do. Good news. You can just do it. Some portions do require site registration and login. That’s also free. All the content is upwardly mobile – All the videos play well even on phones and are all sourced from secure servers. Need more upwardly mobile content? Our public Civil Training pages also include links to other great Civil 3D in-depth training courses. See the Civil 3D Basics section.